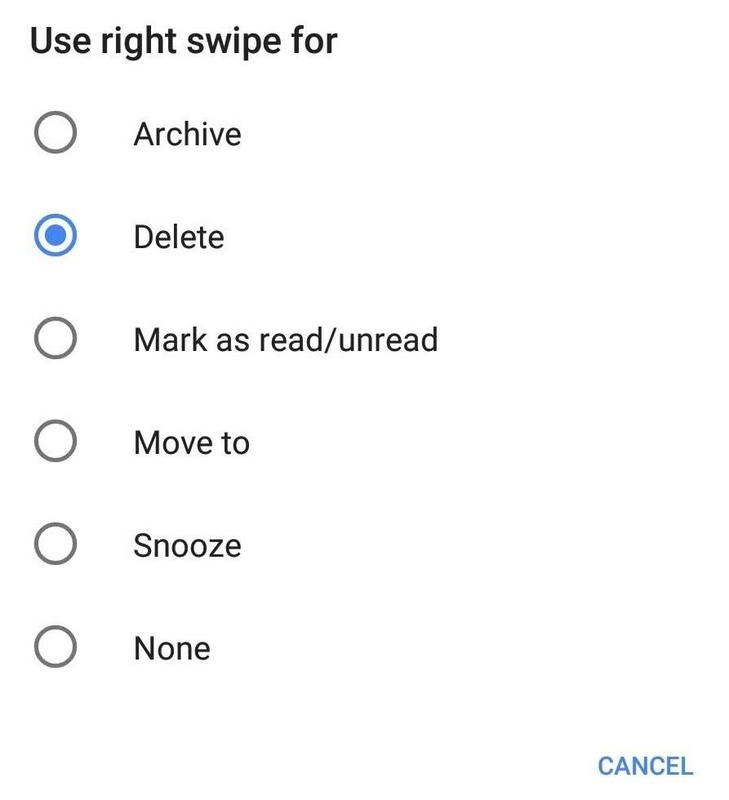 For a while, Gmail only had one swipe gesture, and it could only perform one of two actions: Archive or Delete. Not that it wasn't useful — you could eliminate most spam emails in a matter of seconds by swiping left or right on any email in your inbox. But now, Google has finally added more custom actions to its swipe gestures. With the latest Gmail update, you can now customize the swiping options. Not only can you choose from four new options, but you can also choose a different action for swiping left or right. 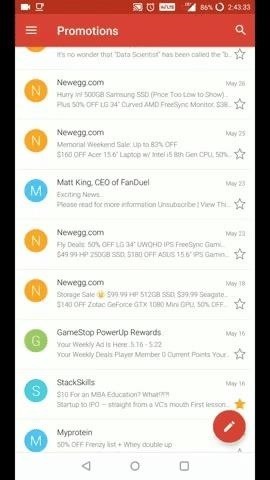 While I personally prefer having both swipes set to delete emails, I am one of a billion Gmail users. 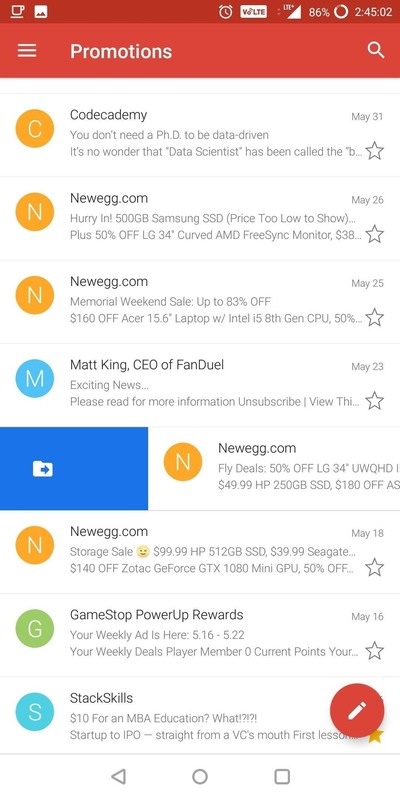 Many Gmail users have different preferences, and for the first time, they have tools to address them. 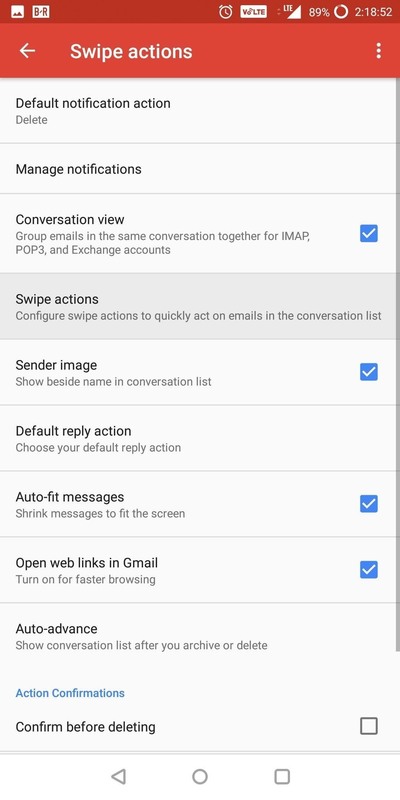 To access customizable swipe gestures, you'll need to update your Gmail app to at least version 8.5.20. The update is rolling out on the Play Store now, so you can use the link below to install it if you haven't already done so. If you're not sure, you can check which version you're on by heading to Settings –> Apps and choosing Gmail. On the second line below "App Details" is the version number. 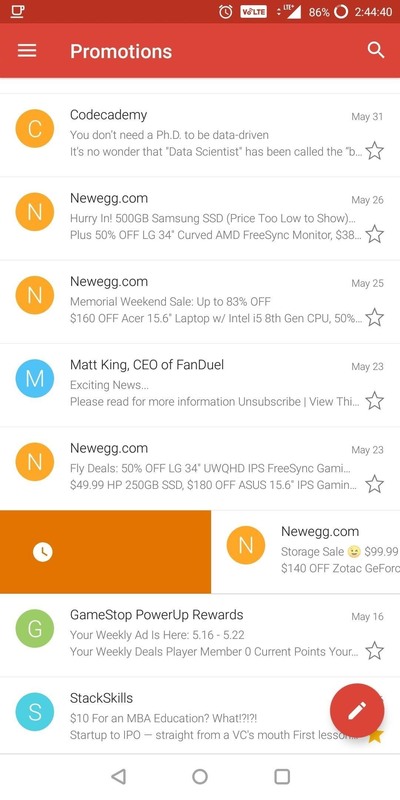 With the latest version installed, open Gmail and tap the hamburger icon in the upper-left corner of your display. Choose "Settings" then select "General settings." From there, select "Swipe actions," which will present you with a new page where you can customize each swipe. 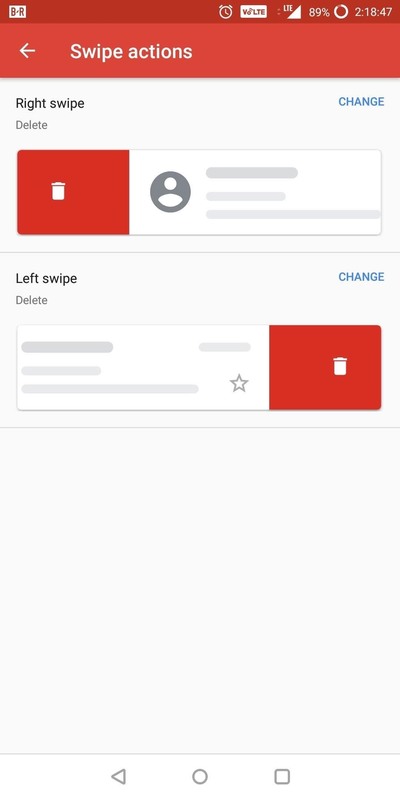 Select "Change" (located in the upper-right corner of each swipe) for whichever swipe you wish to modify first, bringing up a pop-menu with the new options. Besides "Archive" and "Delete," you can now "Mark as read/unread," "Move to," and "Snooze." "Mark as read/unread" will change the email to whatever option it currently isn't. Therefore, a read message will become unread and an unread message will become read. "Move to" will prompt you with a popup with all your current folders to quickly move the email. The list of folders includes not only those created by Google (such as Promotions, and Updates) but any personal folder you create as well. The status of the email (whether read or unread) will remain the same, so only its location will transfer. "Snooze" will remove the email from your inbox and allow it to resurface later. You can have the email resurface later that day, the next day, the next week, or whatever date and time best suits you. However, if need to read the message beforehand, you can perform a search which will locate the email. With the new options, Google is fulfilling the needs of a higher percentage of its users. No longer are we limited to only "Archive" and "Delete," which isn't ideal for everyone. Instead, several more tools are now only a swipe away.